Murray State University president Bob Davies sent a letter of condolences Monday regarding the death of an individual that occurred at an off-campus fraternity house over the weekend. Murray City Police are investigating the cause of death and have yet to provide the name of the person. Madisonville Medical Examiner Christopher Kiefer performed an autopsy this morning. Murray Police Sgt. Brant Shutt said the investigation is ‘non-criminal’ and ongoing. Davies said university counseling services will be available for students who need them. 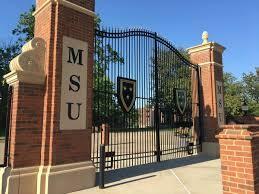 Murray State University is proposing a new graduate tuition and fee model for the upcoming academic year. Murray State president Dr. Bob Davies said the current Senate budget will approach a $12 million impact to the university.